Bennett calls to fight anti-Arab racism with increased police presence in Arab towns, higher employment. Minister of Economy and Trade Naftali Bennett spoke of the need to fight discrimination against Israeli Arabs while speaking Tuesday at the sixth annual Ramle Conference. Bennett took an unorthodox approach to change, suggesting that the two groups with the most significant power to create change are the police and employers. 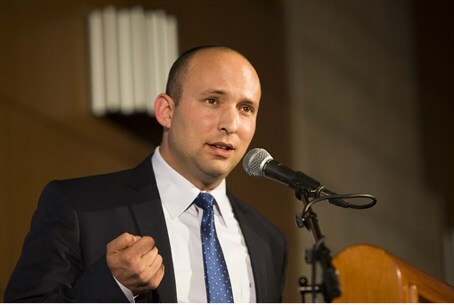 “We discriminate against Israelis Arabs when police do not take a strong hand against such incidents,” Bennett said. Another major problem facing the community is high unemployment, particularly among women, he said. “I plan to charge that issue head-on,” he declared.